Last year, The Ottawa Business Journal presented Punchtime with the Next Best Thing Award. This year, Punchtime is grateful to be recognized for the best mobile application of 2017. All made possible with support and mentorship from local tech leaders like Wesley Clover & L-Spark. Not to mention all the great local companies bold enough to implement Punchtime in our early stage. Thank you for providing valuable feedback, it’s helped refine the product to where it is today. 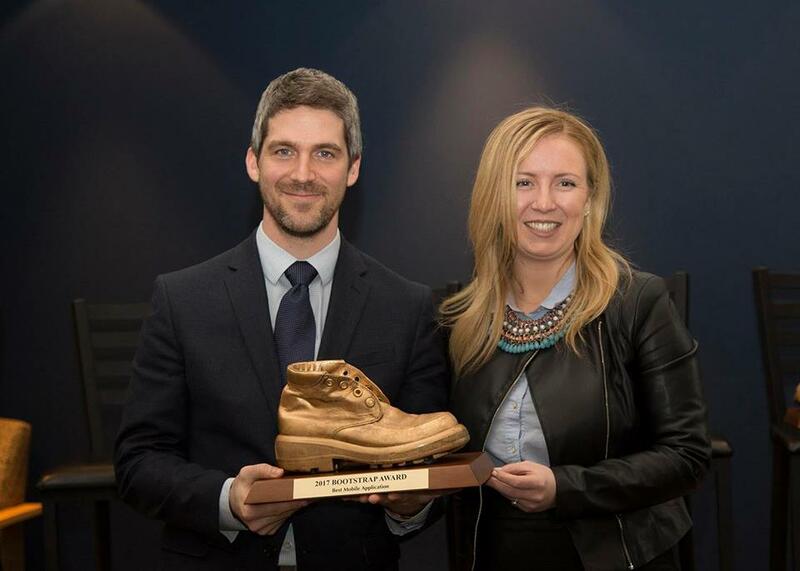 The Bootstrap Awards has returned after 3 years; the Ottawa Network collaborated with Wesley Clover and Smart & Biggar for the relaunch. Formerly, the awards were held by Bruce Firestone’s Exploriem incubator where companies such as Shopify were discovered. The recently revamped awards recognise and honour the National Capital Region’s best, self-financed startups. The focus of the Bootstrap Awards is on working entrepreneurs who are doing it the hard way and finding innovative ways to build their business and product with limited investment. Winners were announced on February 21, 2017. The award for fastest growing startup will be announced at the award ceremony which will be held on March 7, 2017. Tickets for the 2017 Bootstrap Awards are available here. Punchtime is a technology company using unique and engaging ways to utilize smartphones to records daily operations from workers and their environments. The solution significantly increases situational awareness helping companies know who, what, when, where and why, all with perfect memory and record keeping. Today, companies are using Punchtime to automate timesheets, gain insights for jobs costing and better management. This year, Punchtime is forging ahead to help create smarter and safer job sites. In addition to standard safety, compliance, and productivity reporting, more comprehensive integration with equipment and job site sensors are all in Punchtime’s feature pipeline.